Good green things are happening at the White House. 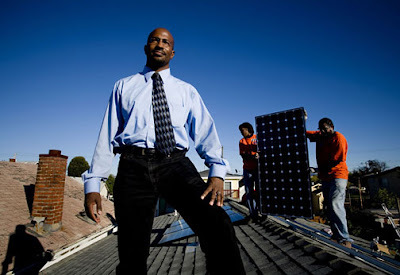 Van Jones, founder of Green for All -- the grassroots green jobs organization -- and author of The Green Collar Economy, was recently named Special Advisor for Green Jobs, Enterprise and Innovation at the White House Council on Environmental Quality. At his new post, Mr. Jones will help shape the administration's energy and climate policy, so that climate solutions produce jobs and justice for all Americans. Good stuff. If you haven't read The Green Collar Economy, pick up a copy at the library, borrow one from a friend, or get one (used) from Amazon.com. Hey Van, how about putting up those solar panels on the White House? What are you doing on the night of March 28th between 8:30 and 9:30pm? Whatever your plans, make sure you do it with the lights out. Why on earth would you do such a thing? It's a global statement bringing awareness to climate change. We're telling the world's leaders that when we all work together, we have the power to make big changes. 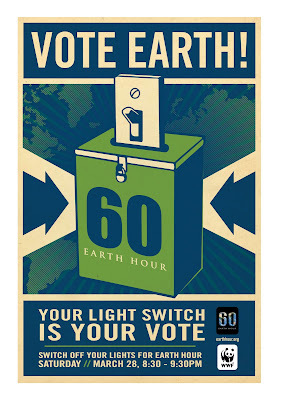 So far, 930 cities and towns in 80 countries have already committed to participate Earth Hour 2009. Will you take part? Earth Hour 2009 -- March 28th at 8:30pm.